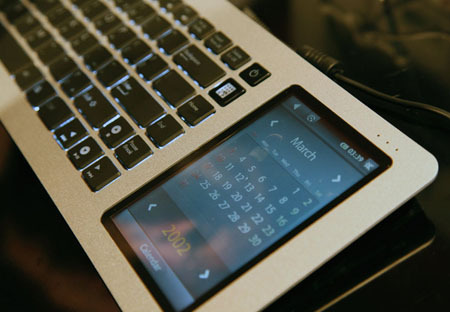 The ASUS ‘Eee Keyboard’ (pictured above courtesy of Gizmodo) is an Atom-powered media center PC housed in a rather sleek looking keyboard. The device, which is at the prototype stage but should be released around September, features a 5 inch touchscreen capable of displaying media controls and other widgets or the standard Windows desktop that also doubles up as an input device like a virtual trackpad. Eee Keyboard’s output can then be sent to a HDTV or monitor via Ultra-Wideband Wireless HDMI, a new standard that any modern HDTV can be upgraded to support via a simple adapter. However, although the Eee Keyboard looks well designed and is an interesting form factor for a media center PC, battery life may be an issue — the prototype only delivers 1.5 hours, although ASUS expect that to extend to three — and I’m not sure the Atom processor is really up to scratch to power a media center, much will depend on what kind of additional graphics chip is included. 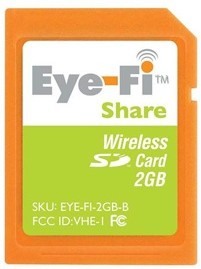 Eye-Fi, makers of the Wi-Fi SD card for digital cameras, is to offer a similar solution for camcorders that sport an SD card slot. Although not quite ready for release, the new Eye-Fi cards will support direct uploading to YouTube and will even support HD. That’s good news for me, having recently invested in a ‘point and shoot’ HD camcorder that records straight to SD card. No word on pricing yet, although it’s unlikely to be much more than existing Eye-Fi cards. 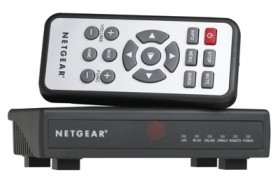 As is traditional at CES, Netgear unveiled new networked media player / extenders designed to get Internet video onto the TV. First up was the ITV2000 Internet TV Player that Gizmodo describes as “half the size of the Roku Netflix Player and pulls from 90+ live streams (foreign news! ), plus search clips from sites like NBC, ESPN and YouTube.” How good most of those live streams will look on a large HDTV I’m not so sure but the emphasis on ‘live’ versus other similar streaming solutions is interesting. In comparison, the Digital Entertainer Elite (EVA9150) is described as “an ideal solution for serious media enthusiasts” and comes with a 500GB hard drive that can be swapped out for something larger, and supports just about any audio and video codec, including the video container .MKV, which is largely used for HD video Blu-ray rips found on BitTorrent sites.